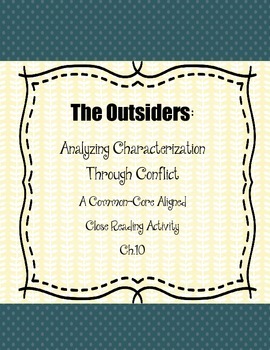 This activity is intended to be used as a close reading for an excerpt from ch.10 of The Outsiders. 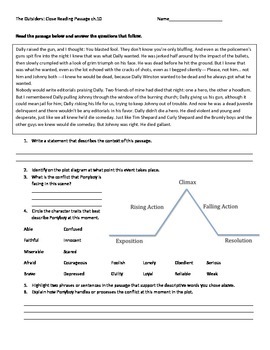 Students will read and annotate an excerpt of text. They will write a brief reflection to set the context of the excerpt. Next, they will look for character traits that are being expressed through the conflict, and write a small reflection about how the traits are shown through textual evidence. Finally, they will map the conflict's arc on a plot diagram.